For most Dolphins (and Cowboys) fans, a Dallas-Miami Thanksgiving match-upÂ conjures up images of Leon Lett’s infamous blunder in 1993. Down one point with 15 seconds left on the clock, Dolphins kicker Pete Stoyanovich lined up for a 40-yard field goal to win the game, but slipped on the ice and had his kick blocked by Dallas defensive tackle Jimmie Jones. As the Cowboys players and coaches began to celebrate, Lett inexplicably attempted to fall on the rolling football, only to lose control of it as he slipped on the ice. Miami recovered the ball on the Dallas one-yard line, and Stoyanovich nailed a short field-goal as time expired to give Miami an improbable 16-14 victory. 18 years later, the video remains just as, if not more hilariously fun to watch. The 1993 Snow Bowl is one of four Fins-Cowboys Thanksgiving games –Â Miami has won two of the other three contests on the holiday and leads the all-time series 7-5. The Dolphins jumped out to a 14-0 lead in the first quarter on a Larry Csonka one-yard run and a 45-yard touchdown strike from Bob Griese to Paul Warfield. Griese threw only 10 passes all game, as Csonka rushed for 80 yards and Mercury Morris chipped in with 49 to lead the Miami ground attack. This is one that the Dolphins, and especially Dan Marino, would like to forget. After a scoreless first half, the Cowboys took a 7-0 lead when Dexter Coakley returned a Marino interception 46 yards for the score. Troy Aikman later connected with Rocket Ismail for a 65-yard touchdown, and Emmitt Smith finished with 103 rushing yards. Marino completed only 15-of-36 passes for 178 yards and tied a career-high with five picks (good for a 17.8 quarterback rating). He was pulled late in the fourth quarter for backup Damon Huard. Let’s move on. That’s better. The last time these two teams met on Thanksgiving, the 8-3 Cowboys, led by QB Quincy Carter, never stood much of a chance. Miami took a quick lead on a Jay Fiedler one-yard scramble, and wide receiver Chris Chambers would go on to catch a career-best three TD passes. 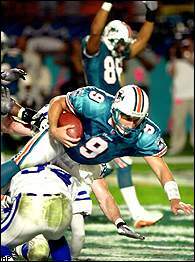 The Dolphins picked off Carter three times, and Jason Taylor returned a fumble for another score. Novemeber 24, 2011 – Tomorrow’s match-up is setting up to be another memorable game, with both the Fins (3-7) and Cowboys (6-4) entering the contest sporting three-game winning streaks. The Dolphins have outscored their opponents 86-20 during the stretch without allowing a single touchdown. Â Matt Moore has completed 71% of his passes while throwing six TD passes, and Reggie Bush has chipped in with four scores and 259 total yards from scrimmage. The Cowboys, who needed overtime to secure a win over the Washington Redskins (the same team that Miami defeated 20-9 two weeks earlier), have been lead by Tony Romo, who has eight TD passes and no picks during theÂ winningÂ streak, and rookie RB DeMarco Murray, who has averaged 135 rushing yards per game in his five starts. Can the Dolphins defense, which has held the last three opponents to 206 passing yards and 73 rushing yards per game while forcing four turnovers, keep the potent Dallas offense in check? Can Brandon Marshall and Davone Bess burn a Dallas secondary that gave up 166 yards and two scores to Jabar Gaffney and Donte’ Stallworth? Turkey Day can’t get here fast enough. This entry was posted on Wednesday, November 23rd, 2011 at 10:56 am	and is filed under Misc Posts. You can follow any responses to this entry through the RSS 2.0 feed. Both comments and pings are currently closed. 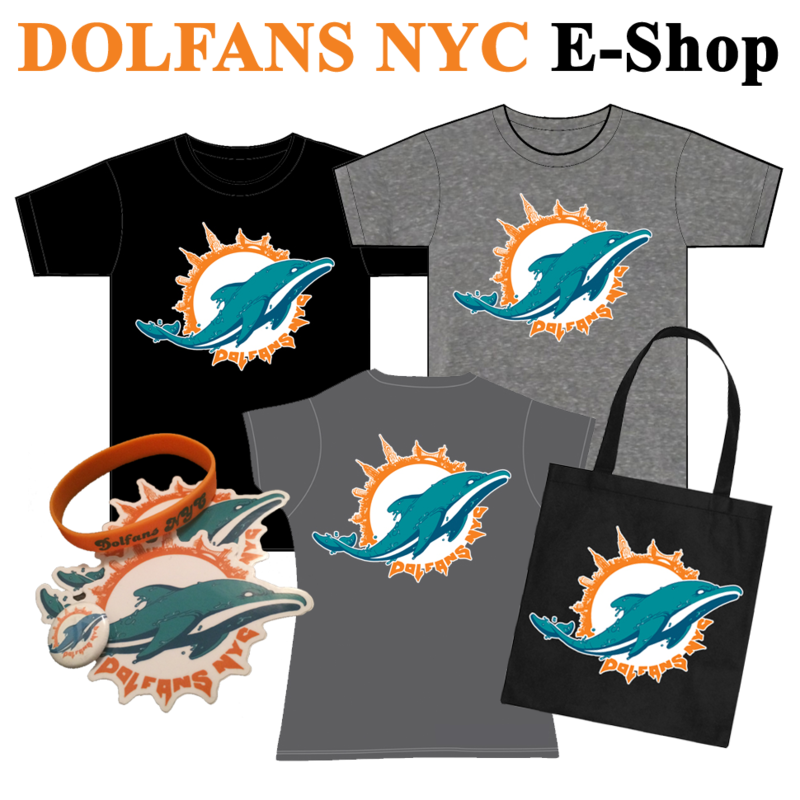 One more thought on the Miami dolphins; If the Miami dolphins make the playoffs this season, their comeback will be so great; not only will it be talked about for years to come and used for years as a motivating example by coaches for teams who have given up, but I can also see a movie deal coming out of this historic turnaround!!!!!!! Dolphins, are you motivated yet!